CLEMSON, South Carolina — A concept born out of research from Clemson University’s Advanced Plant Technology (APT) Program is taking shape as a company that seeks to revolutionize regional agriculture by building a feed grain pipeline through the Southeast. Rick Boyles (left) and Zachary Brenton, both of whom completed their Ph.D. work at Clemson University, work with Stephen Kresovich (second from right), director of Clemson’s Advanced Plant Technology Program, in a corn field at the Pee Dee Research and Education Center in Florence. The company, Carolina Seed Systems, is working to address a lack of feed grain hybrid crop development and a regional feed shortage by creating a grower-focused company to take advantage of South Carolina’s unique environment to maximize crop productivity. Grain sorghum is a cereal grain that is often used as a substitute for corn and feeding rations in the animal industry. Because it is highly tolerant to drought and also efficient in its nutrient use, grain sorghum is a highly sustainable crop option for farmers that lowers their seed cost and increases their profitability. As graduate students in Clemson’s APT Program, Brenton and Richard Boyles evaluated grain sorghum characteristics and began working to exploit natural variations in the plant’s genetic material to determine what genes are responsible for adapting it to the climate in South Carolina and the southeastern United States. After completing their Ph.D. work, Boyles took a job as a research scientist at Clemson’s Pee Dee Research and Education Center in Florence, while Brenton left to pursue Carolina Seed Systems, which has licensed the intellectual property from Clemson through the Clemson University Research Foundation (CURF). Boyles said the concept for the company is “a vertically integrated supply chain,” meaning that both the university and Carolina Seed Systems would be integrated into the entire process from start to finish to best meet the needs of both ends of the supply chain — from grower to end-user. The goal of the APT Program — part of Clemson’s Institute of Translational Genomics — is to improve agriculture in South Carolina one field at a time by employing translational, problem-solving science to advance crop agriculture in the state. 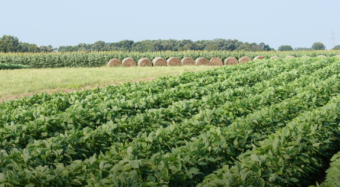 Because of the globalization and consolidation of the seed industry, South Carolina and the southeastern U.S. are underserved as a production region of critical importance to both row-crop and animal industries in the 21st century. Carolina Seed Systems, a company that grew out of Clemson’s Advanced Plant Technology Program and has received licensing from the Clemson University Research Foundation, is working to address a lack of feed grain hybrid crop development and a regional feed shortage by creating a grower-focused company to take advantage of South Carolina’s unique environment to maximize crop productivity. APT is a key part of an overall effort at Clemson to optimize plants for production in South Carolina and the Southeast for all agricultural stakeholders — from large-scale producers to small-scale landowners who work with heirloom varieties for restaurants, brewers and more. Stephen Kresovich, director of the Clemson Institute of Translational Genetics and the APT Program, said Carolina Seed Systems is optimized to serve this regional niche. “Carolina Seed Systems represents a product of the vision, innovation, technology and commitment of Clemson’s Advanced Plant Technology Program to the agricultural stakeholders of South Carolina,” said Kresovich, who also is the Robert and Lois Coker Trustees Endowed Chair of Genetics in Clemson’s plant and environmental sciences department. Kresovich said Carolina Seed Systems would provide cutting-edge science and technology to advance crop agriculture in the Southeast. Tim Lust, CEO of the National Sorghum Producers and United Sorghum Checkoff, said that the success of this program is delivering regionally adapted grain sorghum hybrids to farmers. Steve Johnson, regional manager of the South Carolina Research Authority (SCRA), which supported the pilot production of the product through grant funding, said SCRA views Carolina Seed Systems as the “next generation” of agriculture in the state. Grain sorghum is a cereal grain that is often used as a substitute for corn and other feed in the animal industry. Because it is highly tolerant to drought and also efficient in its nutrient use, grain sorghum is a highly sustainable crop option for farmers that lowers their seed costs and increases their profitability. Johnson also noted that Carolina Seed Systems is developing its products without being a genetically modified organism (GMO) product. “SCRA has invested grant funding into Carolina Seed Systems because ultimately this will create new, higher-paying jobs in our state and build South Carolina’s reputation for innovation and entrepreneurship,” he said. And while increasing crop productivity and limiting the environmental impacts of agriculture, the ultimate goal of the company is to increase the number of feed grains available to end-users by working with growers to create better product lines. Carolina Seed Systems saw grain sorghum as the first opportunity and used the Clemson APT Program to explore it, but the company has plans to diversify its product line and provide other opportunities for growers in the future. “The vision of Carolina Seed Systems and even here at Clemson University, we’re not just working on sorghum, but also any crop that’s a good fit for the state, for the region and elsewhere,” Boyles said. It only stands to reason that growing sorghum or any other crop closer to its end-user improves sustainability by decreasing transport costs and the environmental impacts associated with it while at the same time lowering costs for the end user — improving the bottom line for both the grower and end user. “The whole mission of the APT program is to spin out products for growers,” Brenton said. “But we can only achieve that mission with the foundation of Clemson and the research they provide, whether that’s the supercomputer, whether that’s the genetic technology or whether that’s the research infrastructure at the various research and education centers across the state.